In current affairs, there are two words, 1.current means recent, day to day life and 2. Affairs mean events or issues. Current and affairs come together to give an interesting name to a subject of study. 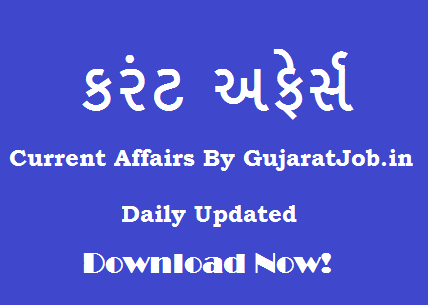 Manojlimbad.in: Is Providing Daily Current Affairs In Gujarati And English, Online Tests, General Knowledge PDF Files, Educational Updates, CCC News, Exam Notifications, Results and lot more things. So Stay Connected to us for Latest Study material.